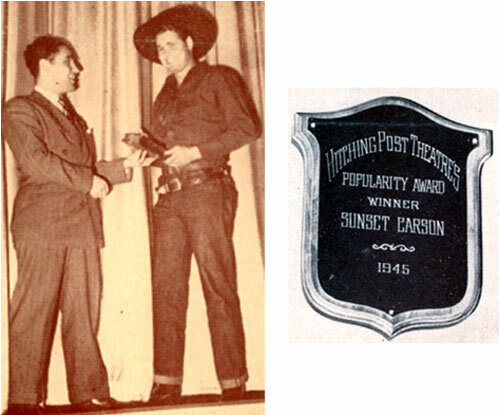 Republic’s Sunset Carson receives the Hitching Post Theater’s Popularity Award for 1945 at the Fox West Coast Rivoli Theater in Los Angeles. Presenter is Fred Gebhardt, manager of the Rivoli, the largest all -western theater in the country. 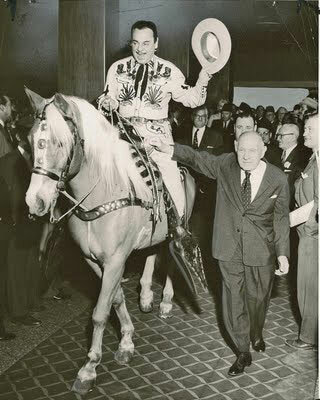 Leo Carrillo, TV's Pancho on “The Cisco Kid”, and his horse Conquistador ride into the foyer of the Sherman-Ambassador hotel in Chicago on December 5, 1957, for the 45th Annual Convention of the Showman’s League of America. 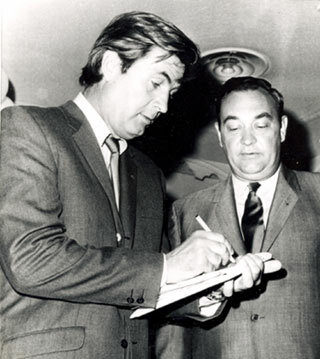 Beside Carrillo is hotel board chairman Frank W. Bering, a livelong friend of Leo’s. 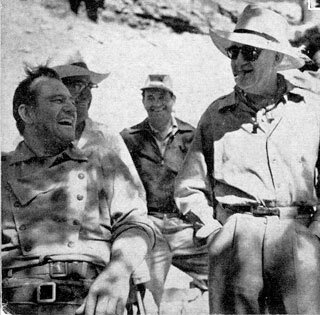 John Wayne and John Ford enjoy a laugh in Monument Valley while filming “The Searchers”. 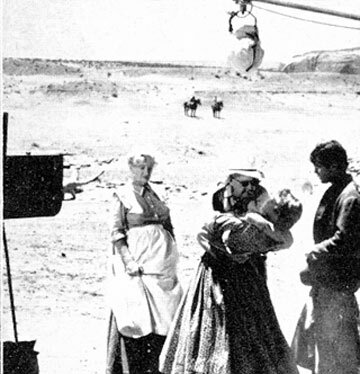 Olive Carey and Jeffrey Hunter observe as John Ford demonstrates the embrace he wants for a “Searchers” scene. 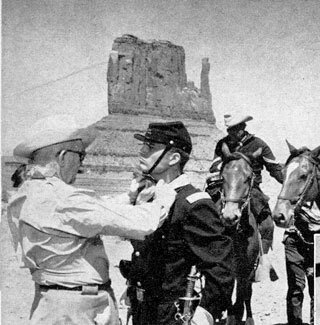 John Ford adjusts Pat Wayne’s wardrobe before a “Searchers” scene in Monument Valley. 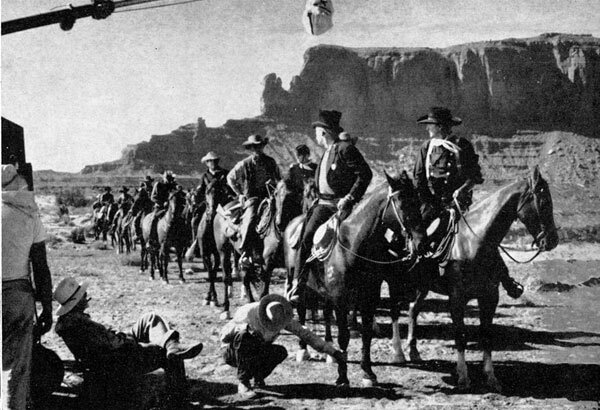 John Ford (seated) directs a sheriff’s posse scene with Ward Bond and John Wayne in the lead for “The Searchers”. Time to relax and sing. 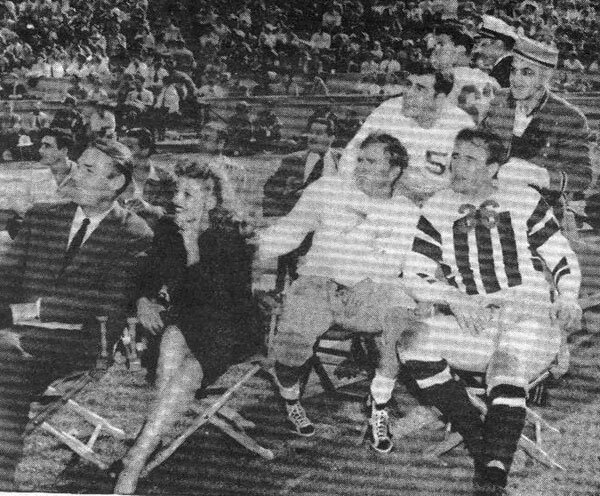 From left, standing: Mrs. Ken Curtis, Ken Curtis, Jeffrey Hunter, Harry Carey Jr., Mrs. Wayne, John Ford (eye patch). 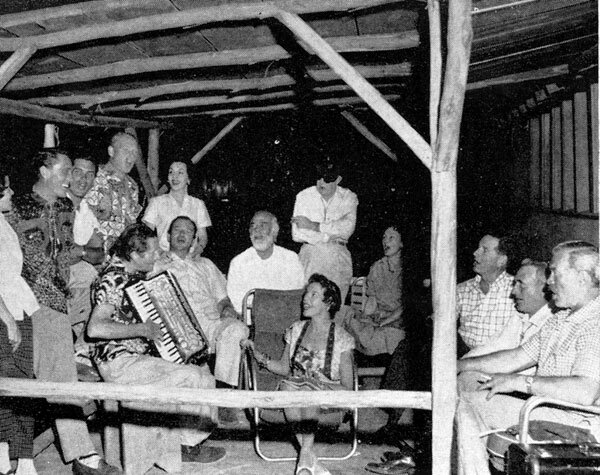 Seated, L-R): Dan Borzage, John Wayne, Antonio Moreno, Mrs. C. V. Whitney, Dorothy Jordan, C. V. Whitney, Winton Hoch, Ward Bond. Cowboy cancer alert! 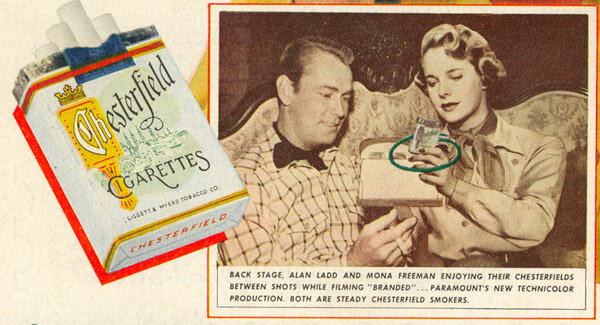 1950 Chesterfield magazine ad with Alan Ladd and Mona Freeman while filming Paramount’s “Branded”. 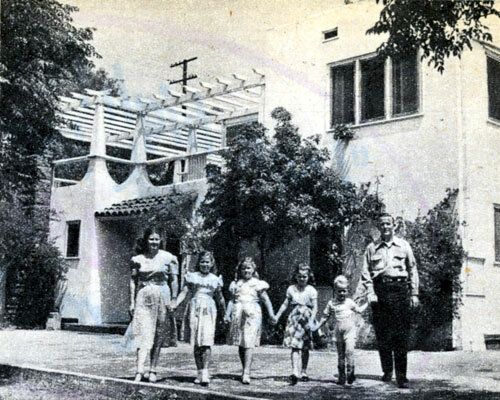 Monogram B-western star Jimmy Wakely and his family before their North Hollywood home in November 1948. 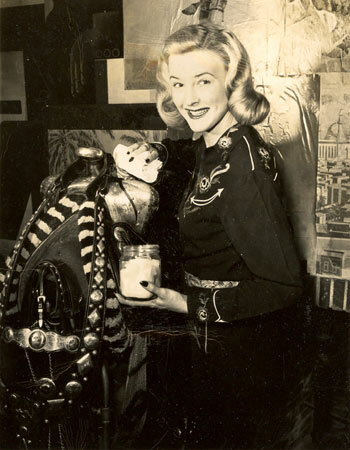 Monogram leading lady to Whip Wilson, Johnny Mack Brown and Jimmy Wakely, Reno Browne polishes up her Bohlin silver saddle in December 1949. 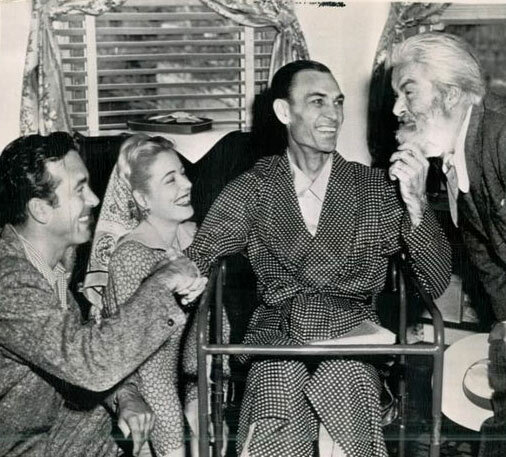 Hugh O’Brian, TV’s Wyatt Earp, races pretty Eva Norlund of Denmark to the draw as the Norwegian girl joined other members of the Miss Universe contest in a visit to a Hollywood studio in July 1958. 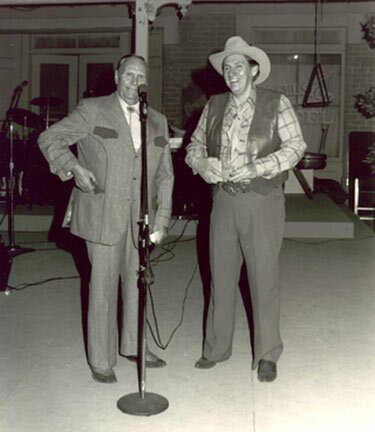 Gene Autry and Pat Buttram at CBS in North Hollywood for an event honoring Vera Ralston, wife of Republic honcho Herbert J. Yates. Date unknown. 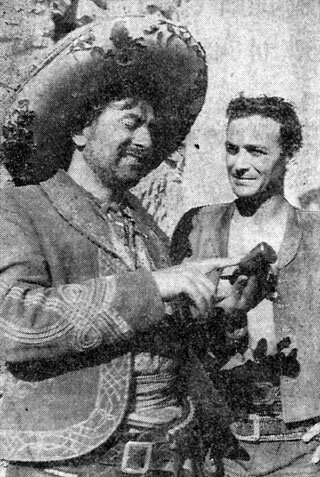 Rico Alaniz (left) points out the notches on the grip of his gun to Robert Loggia who plays the lead in Disney’s “Nine Lives of Elfego Baca”. 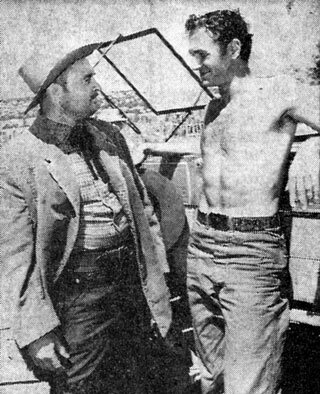 Photo taken on location in Cerrillos, New Mexico, in June 1958. 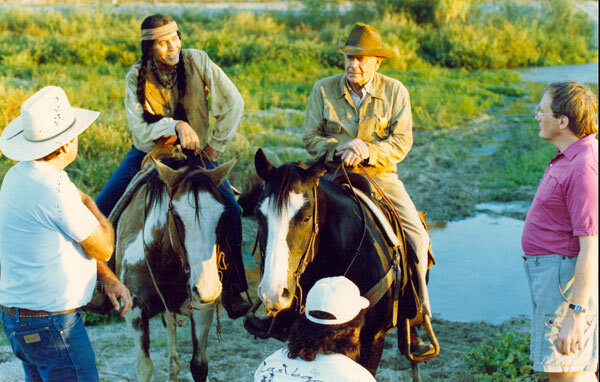 Robert Loggia, star of Disney’s “Nine Lives of Elfego Baca”, chats with Ed Pennybacker who had a small role in one episode. At the time Pennybacker was news director of KQUE radio in Albuquerque, New Mexico. This photo was taken near Santa Fe where much of the series was filmed. 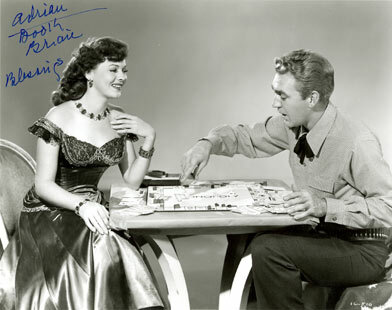 Adrian Booth and Forrest Tucker play a little game of Monopoly to relax between scenes. 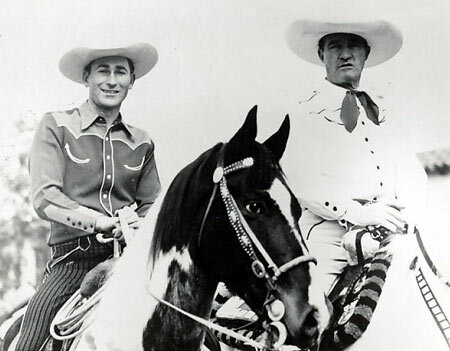 Fess Parker, TV’s Daniel Boone, and Kentucky governor Louie B. Nunn announced plans in September ‘68 to build a $13.5 million Disneyland type amusement park in Cincinnati to be completed in 1970. They hoped to generate $180 million over 10 years in tourist expenditures. The park was to be called Frontier Worlds and would be located at the interchange of I-71 and I-75. Question: Was this ever built? 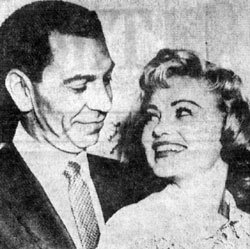 Jack Webb, star of TV’s “Dragnet”, and his bride, Jackie Loughery, at their wedding reception in Hollywood, June 1958. 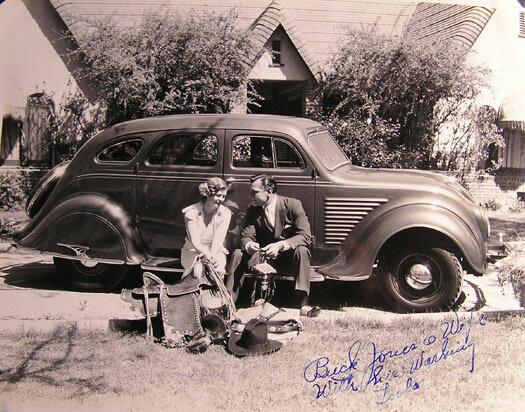 The third Mrs. Webb was a former Miss U.S.A. and co-starred as Letty Bean with Edgar Buchanan on TV's “Judge Roy Bean” from ‘55 to ‘56. 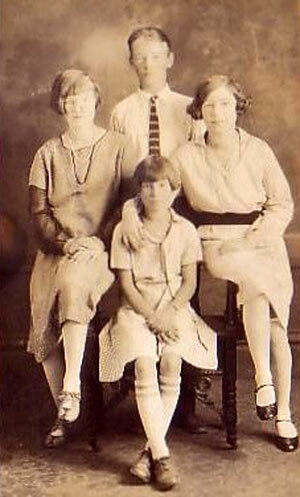 It was Loughery’s second marriage. 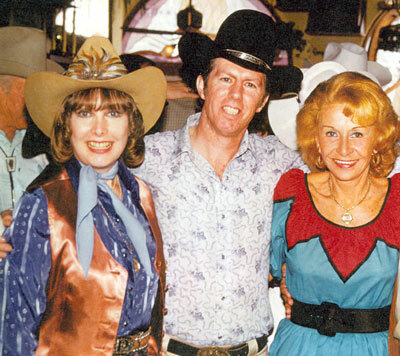 Stuntman Neil Summers surrounded by beauty--Penny Edwards (left) and Vera Hruba Ralston (right) at a Monte Hale birthday party in 1979. 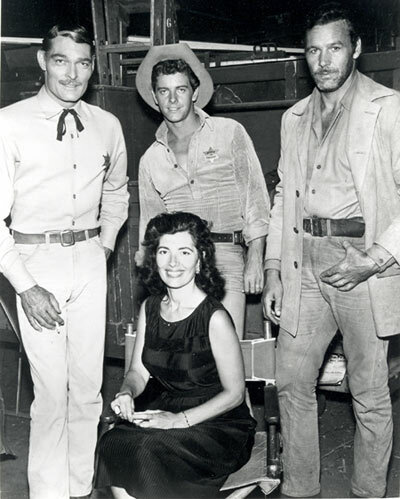 Taking a break between scenes of Warner Bros.’ “Lawman” are John Russell, Peter Brown, badman Chris Alcaide and his wife Peri Alcaide, a noted foreign corespondent. 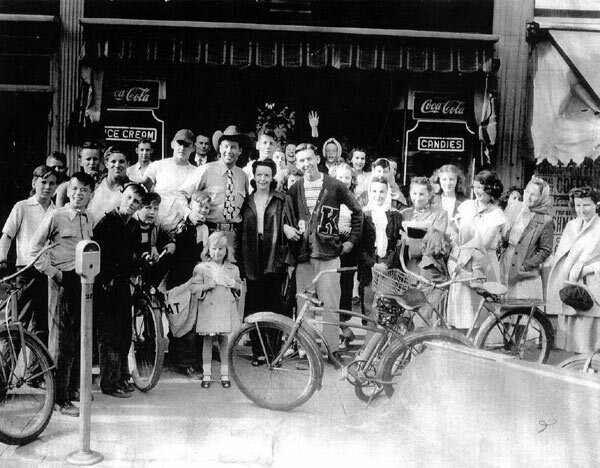 Note the cigarette in Russell’s hand.